After 25 years, import auto from the late 80s are finally entering our portion of the planet. If you’re interested in foreign cars, then these new little gems offer an amazing opportunity to tap into, as they are sometimes better equipped than the North American versions and remain in better shape. Most of the time they’re a great way to get a classic car with impressive performances and affordable pricing. To continue the pattern from our previous list, the Celica came to America but not in the form of a GT4. This unseen version features 4-wheel-steering, AWD and could be classified as a detuned rally car. The engine is pretty exciting since it’s a 3S-GTE with 221 hp where the most souped up version of the Celica in North America only hit 200 hp. These cars were built to race which is why the GT4 is equipped with torsen rear and a coupling center dif that would bring tears to any man’s eyes. It’s sleek, mean looking, and as fast you could want. The wagon has never been available on our side of the sea, but you can find a sedan in Canada and the U.S. When the car first sold, you could choose from a variety of engines like the 2.5-liter inline six or even a more modest example like the 2.3-liter that could only put out around 141 hp. If you’re fond of this model, buckle up, because it’s going to be difficult to find. A AWD 3-series is usually found in crossovers more so than wagons. It does not pack as much punch as a crossover would, so it’s not great for rock crawling, but it’s still a versatile model. It easily incorporates the wagon space and style with the signature, endearing boxiness of the BMW 3-series of that time. This car was created specifically so that VW could bring the Golf into rally racing, thus, it’s equipped with AWD homologated. They’re really difficult to find because Golfs have been used heavily over the past 25 years. What makes this Golf different than any of the others that you can get for cheaper and are far more practical? The supercharged engine instead of the turbocharged. This means that the 1.8-liter four put out around 160 hp over most of its rev range. It also means that it could totally reach 130 mph pretty easily. The other distinguishing factor that makes this little model rather strange is the cable-actuated gearbox that delivers some long throws that can whip your around pretty well. Since some of their parts are a little on the weird side, replacing components will be difficult, but otherwise, it’s still a Golf which makes the foreign auto repair on this little fireball nowhere near the astronomically priced side of things like other imports can be. Foreign cars are beautiful things. The manufacturers overseas produce high-performance vehicles that last and that’s proven true when cars like these go back on the market across the seas to us. 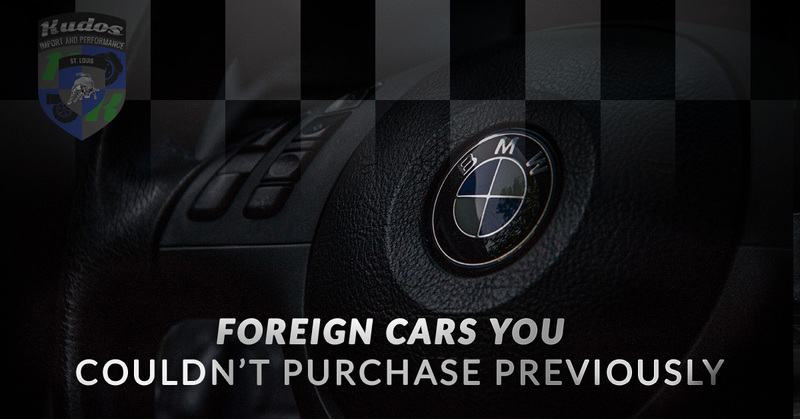 If you’re checking these out, make preparations and find a great foreign car repair shop like Kudos Luxury Import Auto Repair in St.Charles. After all, it’s like picking out a vet for you puppy, you want your new little guy to be healthy the whole time. Leave it to us to ensure your car remains as unstoppable as it has been for the last 25 years.